I used to love saying how busy I was. I’d say it to feel important. However, I eventually worked out (the hard way) that being busy is not always awesome – its actually quite exhausting. Strangely though, being busy does not necessarily mean getting things done! Busy and happy life rarely marry well. They are more like a fling that runs out of steam. In my case – I decided I was just not into it. I didn’t want to feel frazzled all of the time. I didn’t want to feel out of control, or like I was going through the motions of life but not able to enjoy it because I was too busy. On a closer look, it turns out that despite being busy, with a lot going on, I wasn’t actually getting things done. This was about 3 years ago. I needed to sort myself out and get organised. To be honest, I am the type of person that has to go hard and pull back, rather than start slow and build up to something I’m comfortable with. It’s a process. I had to get to that point where it was too much, to know where my limits were. That point came when I was in a world of pain. I had a toddler and a baby, was trying to design my first website, learn online marketing strategies, refine my coaching skills, keep the house clean, have awesome parties, cook amazing meals…..you get the picture. Too much – plus a few perfectionist issues to deal with as well! In the end, I felt like I became the best procrastinator in town – because I was overwhelmed and disorganised. I felt like I was just keeping my head above water – and it was a horribly uncomfortable feeling, and it started a downward spiral of negativity. I had complicated systems of finding things, I didn’t have any templates or processes for repetitive tasks like a coaching session, or posting a blog, so every time I did it, I was doing it on the fly, and when you have a baby and a toddler, little sleep, several interruptions… it’s a recipe for disaster. So, there are three key things I focussed on to help with getting things done, and I still stand by this three years later. These three elements still form a large part of my current strength, clarity and focus. 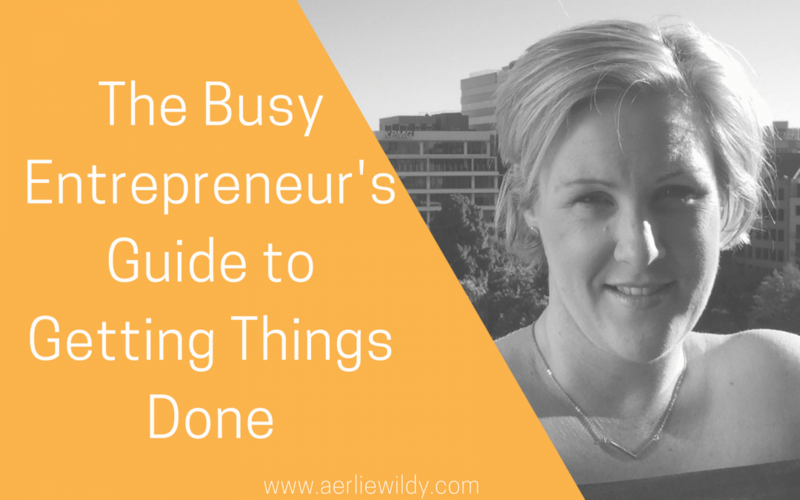 Busy Entrepreneurs Guide to Getting Things Done. Without direction, it’s so easy to get distracted. Bright Shiny Objects are EVERYWHERE. Without a plan – everything looks like an option. There’s no filter, and no way of discerning what is important, and what to focus on. With a plan – you can put your blinkers on and focus. It instantly becomes easy to say “I need this”, and “I don’t need this”. A plan lets you filter what information you take in, work on, listen to, because the decisions have been made. A plan helps you look big picture AND daily To Do’s. A plan gives you motivation, focus and better productivity.You can also develop the markers for your business growth, and create the structure you need in terms of time management and focus areas within your business. Start with setting REALISTIC targets for marketing, creating offers and products, and then break down all of the operations that will allow you to market and deliver your product form the daily, weekly and monthly goals. Did you know that switching from one thing to another, thinking ‘Now, where was I?’ and mentally catching up to the same level of focus as you previously had before you were distracted can take between 16 and 23 minutes. That’s A LOT of time out of the day – especially if you’re random scrolling in Facebook. I have to work very hard at staying focussed. I get distracted easily, and tend to flit from one page to another, one task to another. I have to vigilant because it’s a very unproductive way of working. I really believe in managing your time mindfully. I’ve had so many clients that aren’t really sure how to get everything done, this step is often a critical moment. Making mindful decisions about HOW to spend the time most effectively is essential when time is short. Start with one or two of these, and you will really notice the difference. So, there’s making a plan, and then there’s working out how to get it done. – What tools and resources do you need? – What are the priorities? – How much time do you have to spend on it – daily or weekly? – How will it fit in with all of the other daily tasks? I’ve seen so many good plans come undone, because this step is forgotten. The result ends up with you trying to squeeze the ‘extra’ work into an already full schedule – and guess where that takes you? Overwhelmed and burnt out, not knowing where to start because it seems like there is so much to do, procrastinating…. Knowing how you are going to get it done requires some tools – because yes, there is a lot of information to filter through – especially when everything seems urgent. Utilising tools that help you be productive AND efficient = winning. Anything that allows you to save time and closer to getting things done is a bonus! It becomes much easier to batch similar tasks together when you have the bigger picture, for example – a weekly schedule. Make a list of all of the things you need to do in a week, (or colour code your schedule) and you will quickly see that there are opportunities to combine similar tasks – like running errands. Instead of going shopping every few days, it can be more time effective to go once a week, and tie in going to the Post Office, butcher, chemist and have coffee with a friend all in the same trip. The same can be said for marketing – writing content, planning content, writing social media posts – when you do a bigger batch I guarantee you will be much more targeted with your message than if you did a little bit every day. This is about taking control of your schedule. I like to have theme days – so that I can have designated coaching days, but one day where I’m focussed on content, and another on admin, systems and operations. You can also use this strategy for a 2 hour block on a Monday morning – to map out all of your content for the next month, or to block out time to write content – without distraction. If you have one single purpose for the block, I find it is much easier to stay focussed – a definite bonus! Once you have allocated all of the time blocks in your weekly schedule, you will no doubt find that there are still things left on your to do list – but not enough time to do them! This is where delegation and prioritising becomes important. The tasks that are taking up too much time, or are very regular and systemised can be easily outsourced to spread the workload. Even with a small budget, this is an important consideration, and one that I wish I had invested in earlier. 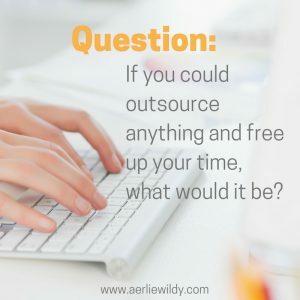 For tips on outsourcing on a tight budget, check out this post. I know – it’s the boring stuff, but incredibly powerful when it comes to providing a strong base for you to work from, and taking so much information out of your head and into a process. It’s true – we rely on our memories a lot, but our brains can only hold so much information, and when you’re flying by the seat of your pants, things can slip through the cracks. This is where a system can make life so much easier (and easier to outsource too). Systems don’t need to be complicated, and they don’t have to be automated, but when they are in place, they allow you to be consistent, and they save you time, because you don’t have to remember every step, or where you filed that doc! They also improve your customer service and reduce errors! If you need further convincing, check out these reasons why systems make life easier! Make a plan. It may not be the right plan, so tweak it as you go.The only way you will find out is by getting started and letting go of perfection!I treat everything as an experiment. 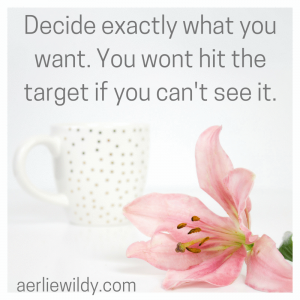 This slight mindset shift allows me to take the attachment away from wanting it to be perfect. I started a You-Tube Channel as an experiment, and now I have 115 videos on my channel – not all of the are perfect, but I went out and did it. I started a Facebook Group – the #nomoreburnout Facebook Group – as an experiment, and I still use it as an experiment. 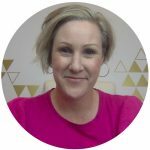 I give loads of great value, and connect with some awesome ladies who want support getting organised – and I have a better idea of what they need, because it’s an experiment.I wouldn’t know that if I was waiting for it all to be perfect. There’s just not enough time! Taking action always provides feedback. I know if something is working or not, and I tweak as I need because there is always information coming. If I didn’t take action I would have to guess – and I know that strategy doesn’t work either! Where to from here? Select one of these strategies and spend some time working on it. Pick one that isn’t too overwhelming! 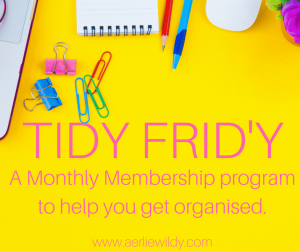 If you’d like to chat about how you can get things done without burning out, or how to set up your systems, or more personalised time management strategies – I’m your girl.